Our award-winning bloody mary evolved as the perfect accompaniment to our celebrated Cajun breakfasts and southern cuisine in our French Quarter restaurant. Tried, tested and perfected over the course of two years at our original French Quarter restaurant, we knew we’d hit upon the perfect bloody mary when it promptly became our most requested cocktail at our multiple Daisy Dukes restaurant locations. Before long, our customers began requesting their own bottles of Daisy Dukes Bloody Mary Mix to take home with them. To meet popular demand, we began bottling our signature mix two years ago. Staying true to our mission in delivering the highest quality ingredients and uniqueness of Southern cuisine, our mix is 100% Louisiana produced and certified Cajun. 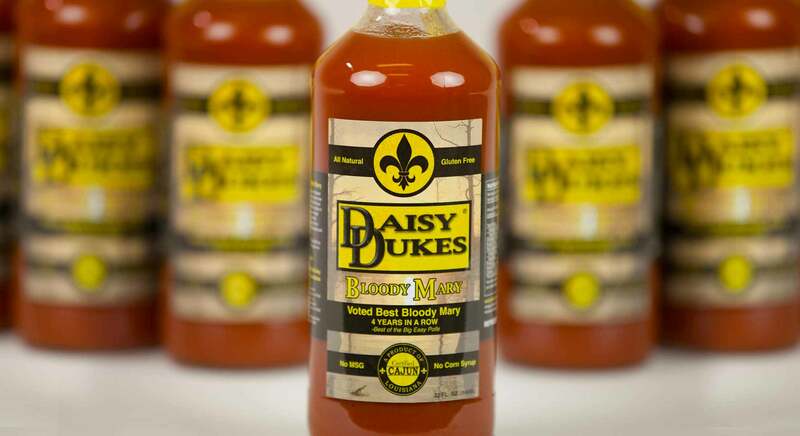 Daisy Dukes Bloody Mary Mix is all natural and gluten free with no MSG or corn syrup. It is always made fresh in limited quantities to ensure the best and freshest bloody mary mix on the market. Since bottling, word has spread at lightening speed and is fast becoming a staple in household bars. 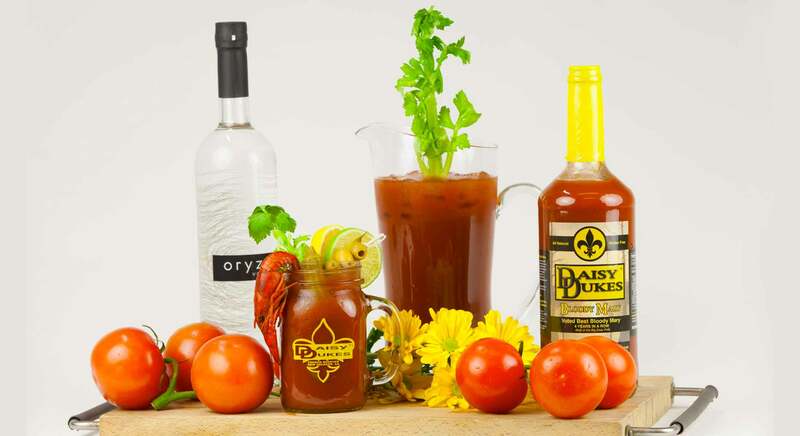 Voted Best Bloody Mary four years in a row by Best of the Big Easy poll, we’re certain you’ll agree that Daisy Dukes Bloody Mary Mix is naturally the best. Ingredients are simple . . . no corn syrup or chemicals or preservatives . . . a fantastic bloody mary mix . . .